LET'S DEAL WITH "DYNAMIC RANGE" ISSUES! and dark areas (in direct sun). 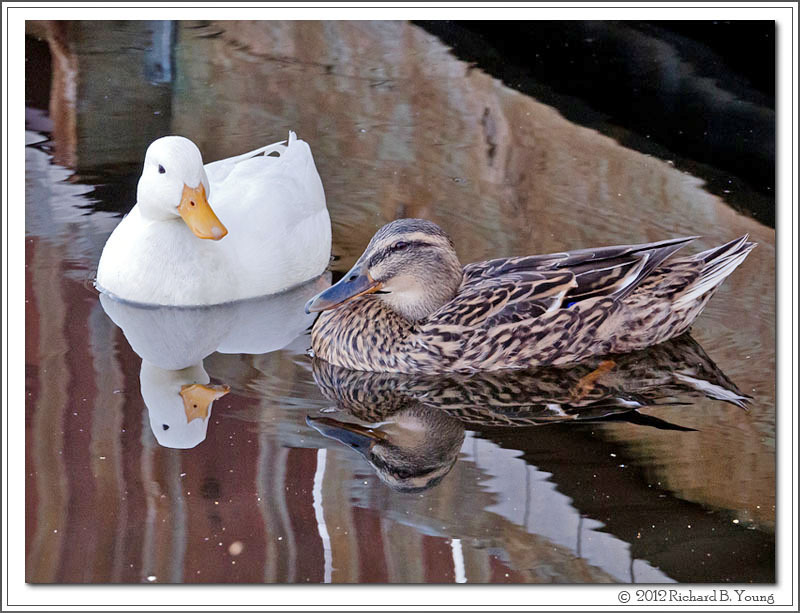 The all-white Mallard, with its female Mallard mate are difficult subjects for even the best cameras in bright sunlight. 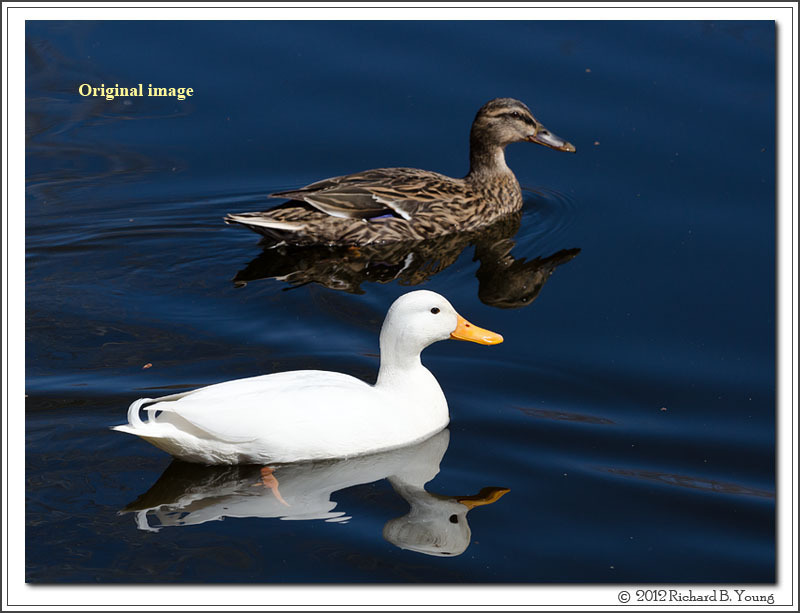 The white duck is over-exposed, loses detail; and the female is under-exposed, too dark! after the image has been edited with Adobe Photoshop! The best alternative may be to find a shaded area with its 'flat light'. 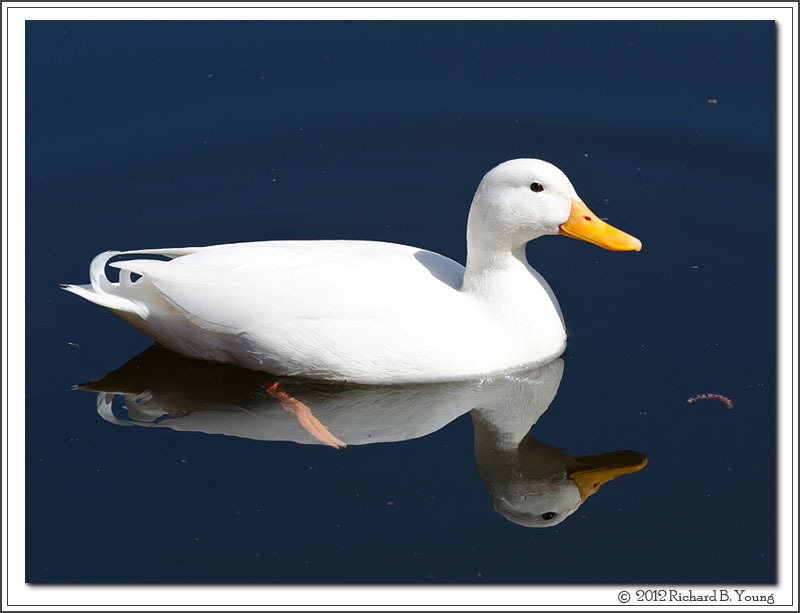 This provides good detail in both birds at the same time, as seen below.